Can a pig ever be considered precocious? Teeny hats off (and I mean that in the best possible way) to author Adrienne Kress for her latest novel! Kress had me at Explorers. Now, all those intros aside, I thoroughly enjoyed being taken inside the thrilling walls, doors, rooms and slide (yes, slide!) of The Explorers Society, one of the most marvelous places I’ve been to in a long time, and the driving force (to say the least) behind this very imaginative adventure. Getting to know the cool cast of characters whose journey kept me turning the pages as more and more secrets were revealed, was also tons of fun. The story of The Explorers unfolds with the rescue of a pig in a teeny hat by a 12-year-old, rule-respecting, STEM scholar named Sebastian. It doesn’t hurt that he’s also got a photographic memory. The pig, it turns out, belongs to a member of The Explorers Society, located in a seemingly innocuous building in a back alley near Sebastian’s routine route home. Rather than being rewarded for his helpful deed as logic would dictate, logic being another characteristic that can be attributed to young Sebastian, he is punished by the society’s president. Sebastian must now, to avoid arrest (yes, arrest! 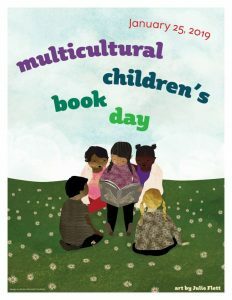 ), do chores daily after school at the society in order to learn to take risks and expand his limited horizons. As he becomes familiar with the amazing interior of the society (trust me, it is absolutely unreal! ), Sebastian, prodded by the president Myrtle Algens, seeks to do something inappropriate that only someone who thrives on appropriateness can do. Just what that is, he hasn’t a clue. So, while unsure exactly how to push these boundaries, Sebastian accidentally uncovers a small hidden door behind which sits a box. Sebastian takes this box home and discovers in its contents assorted articles, photographs and other information about a disbanded group of explorers called the Filipendulous Five. When he asks Algens about them he is less than politely asked to leave the society’s premises and never return! Upon departing, Sebastian encounters a forlorn-looking girl sitting outside. The girl, we learn, is Evie, an orphan on the run from some scary-looking dudes, one with a jaw wired shut, the other with (I kid you not! ), a partially melted face. 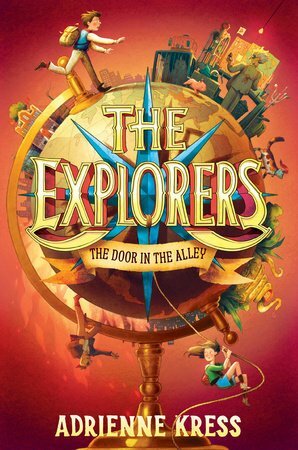 According to a letter she was given before she escaped the bad guys, Evie discovers she has an important connection to the The Explorers Society. This letter, written by her grandfather who she didn’t know was alive, indicates he’s in grave danger. Somehow though, this information, when shared with Algens, has gotten her kicked out of the building despite believing it would be a place of refuge. Things become even more confounding for the poor girl when Sebastian explains that her grandfather is none other than Alistair Drake, the head honcho of the Filipendulous Five! Soon Evie and Sebastian team up and take off on a series of exciting and risky exploits (it’s true, Sebastian skips school!) at the local zoo, the university, as well as inside The Explorers Society, all in an effort to find a mysterious key mentioned in the letter and save Evie’s grandfather while trying to elude wired-jaw guy and melted-face man. The Explorers is a fabulously funny, fast-paced read with 27 chapters and an epilogue. Each chapter contains just the right mix of mayhem, dialogue, description and derring-do. Kress’s imagination is boundless, something I’m certain middle graders looking to lose themselves in an adventure/mystery will appreciate. Her sense of humor is also spot on. I must mention here that I had the good fortune to be sent an advanced readers copy for the blog tour so the artwork that is due to accompany the novel wasn’t included. But I can’t wait to see it since the story itself is quite visual and would lend itself well to film or TV. Now dear readers, the story doesn’t end here because there is definitely more to come in an as yet unnamed sequel that, I have to admit, is the appropriate thing to do when the author leaves you with a cliffhanger making you wonder what’s to become of Sebastian, Evie and the rest of the characters you’ve grown to care about. I’m also very curious as to whether Sebastian’s school ever calls his parents, that is unless all the action occurs on weekends. That would certainly calm his nerves. Watch this space! The Sword of Summer: Magnus Chase and the Gods of Asgard. Imagine this: it’s your 16th birthday. You wake up on a cold Boston street, your friends tell you this evil dude is looking for you … and not because he wants to bring you a birthday present. Your untrustworthy uncle reveals that you are the son of the Norse god, Frey, god of fertility of the land, peace and prosperity. Yeah, right. As the son of Frey you have the power to summon an ancient, long lost sword. Apparently, whoever wields it can do some pretty cool stuff with it. Some pretty scary stuff, too. And just think, all this time it’s been sitting at the bottom of the Charles River. Nasty. Oh, and that evil dude looking for you? He’s the god Surt, Lord of Muspelheim, the realm of fire. He wants that sword, too. And not just to polish it up. See, he’s got this plan (or maybe it’s something like his destiny) to use the sword to free the wolf Fenir and set doomsday into motion. Wolves … dude, you hate wolves! Someone has to stop him. Could this be your destiny? Ready to romp through the nine worlds of Asgard to prevent the end of the world? Well, before you take off, there’s just one. small. thing. Whew! So, are your ready for the The Sword of Summer, the first book in Riordan’s new series? I’ve got a feeling you’re hooked! 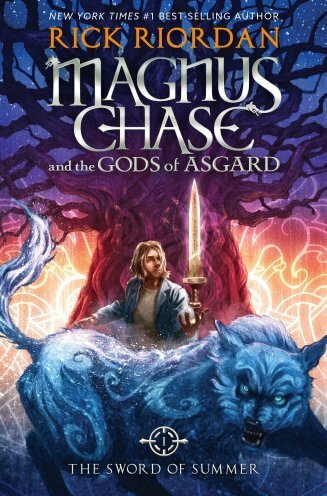 From cold Boston streets, where the homeless (and not so prosperous) Magnus Chase lives, to the halls of Valhalla (the realm of the fallen heroes), prepare yourself for a wild and exhilarating ride through the many strange, wonderful, and sometimes frightening worlds of Asgard. Magnus and his friends, who include a snappy-dressing dwarf, a deaf elf, and a Muslim ex-Valkyrie, race against the clock to prevent a cataclysmic war. Pursued by Valhalla heroes, giant wolves, and monsters, Magnus and his team bargain with powerful beings and magical creatures in order to prevent Surt from obtaining Frey’s sword, Sumanbrander. Whoever wields it has the power to bring about Ragnarok, the apocalyptic battle between the forces of the gods Odin and Loki. Percy Jackson fans will snap up this latest series (I can’t keep it on my library shelves). Using his now familiar model, Riordan has readers take a look at an unlikely hero struggling to understand who he is and the events swirling around him. Like all great heroes (Hercules, Gilgamesh, and yes, Percy Jackson), Magnus’ journey throughout the worlds of Asgard bring him a deeper understanding of self and greater empathy for his companions, who have sacrificed much to support him. Riordan has inventively created a world blending Norse mythology with contemporary culture and peopled it with diverse characters in positive roles. In doing so, he shines a spotlight on contemporary issues such as Muslim culture, homelessness and people with special needs. Filled with nail-biting and dramatic action, it has the same irreverent humor found in Riordan’s earlier series. Not familiar with Norse mythology? No problem, Riordan provides a handy glossary and other back matter materials to enhance the reader’s understanding of the ancient Norse world. 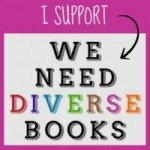 Visit all the worlds of Rick Riordan for more information on this and his other series. featuring great giveaway opportunity on Rafflecopter. 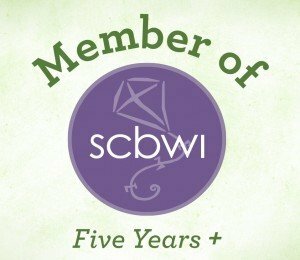 Win one of five books! Enter today. “Charming fairy-tale fun.” – Sarah Mlynowski, author of the Whatever After series. “Flunked is spellbinding and wickedly clever. Gilly is smart, spunky, and a hilarious narrator!” – Leslie Margolis, author of the Annabelle Unleashed and the Maggie Brooklyn mysteries. “Flunked is a fresh and funny take on the enchanted world. (And who hasn’t always wanted to know what happened to Cinderella’s stepmother?”)” – Julie DeVillers, author of the Trading Faces identical twin series and Emma Emmets, Playground Matchmaker.